combines coverage of these three popular open-source Web development tools into one easy-to-understand book -- and it comes with one easy-to-use Starter Kit CD-ROM for Windows or Linux. 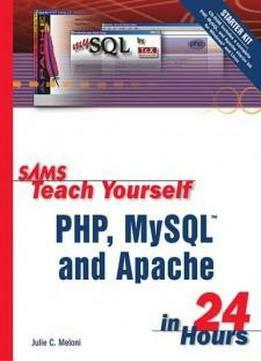 The book teaches the reader to install, configure and set up the PHP scripting language, the MySQL database system, and the Apache Web server. By the end of this book the reader will understand how these technologies work, and -- more importantly -- how they can work together to create a dynamic Web site. After creating a simple Web site using these tools, the reader will be able to manage a simple mailing list, and to create an online address book, shopping cart, and storefront. The book also teaches the reader how to fine tune Apache and MySQL, and covers simple Web server security.